Hussein N. Yamani, MD, FACC, is an interventional cardiologist practicing at Healing Hearts Clinic in Conroe, The Woodlands, and Huntsville, Texas who strives to provide comprehensive and compassionate cardiovascular care for his patients. He is a Fellow of the American College of Cardiology. After receiving his Bachelor of Arts from the Plan II Honors Program at the University of Texas, Austin, Dr. Yamani attended medical school at the University of Texas Medical Branch at Galveston, and completed his internship and residency in internal medicine at the University of Texas Health Science Center at Houston. Dr. Yamani completed his cardiology fellowship at the University of Texas Medical Branch at Galveston and the Methodist DeBakey Heart & Vascular Center in Houston, followed by an interventional fellowship at the University of Utah, Salt Lake City. He is a leading cardiologist with particular interests in the treatment of coronary and peripheral artery disease, congestive heart failure, arrhythmias, valvular heart disease, hypertension, and hyperlipidemia. He understands that each patient is unique and encourages them to be actively involved in their care. Dr. Yamani is certified by the American Board of Internal Medicine in the subspecialty of cardiovascular disease and interventional cardiology. He has training and experience in stress testing, echocardiography, vascular imaging, nuclear imaging, cardiac CT and MRI, and the treatment of venous disease. He routinely performs coronary angiograms and interventions as well as peripheral angiograms. Dr. Yamani’s professional appointments include serving as the chairman of the cardiology section at Conroe Regional Medical Center. 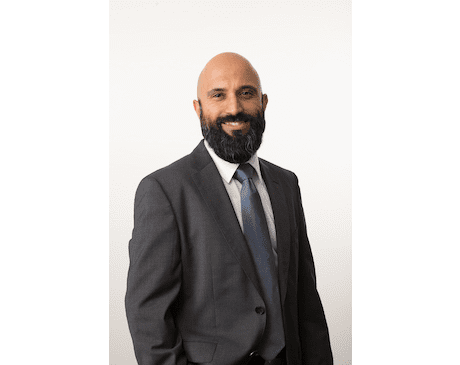 Dr. Yamani has lived in The Woodlands since 2011 with his wife and three children and enjoys traveling and spending time with them in the great outdoors.